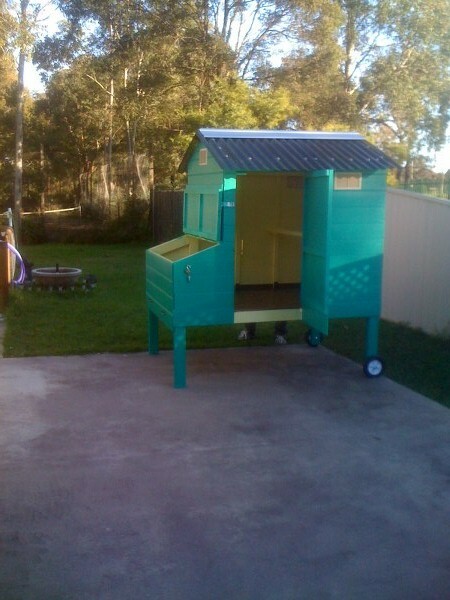 This morning we moved the coop out into the yard. 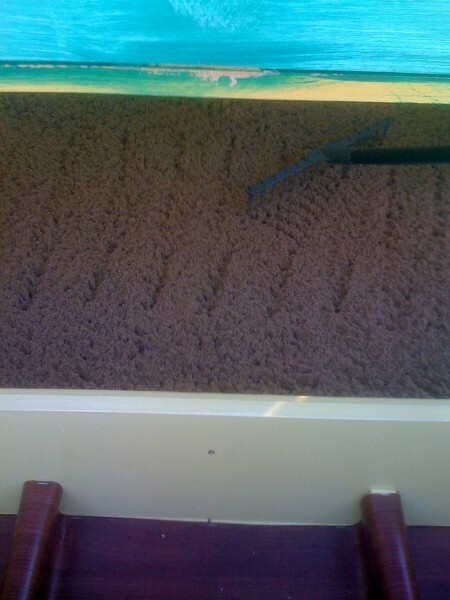 We put wheels on it last night before we went to bed..
We put the sand in so it could dry out – funny because the other day I was at the Sushi place and they had a Zen garden where you could rake the sand – now I have a chicken Zen garden! 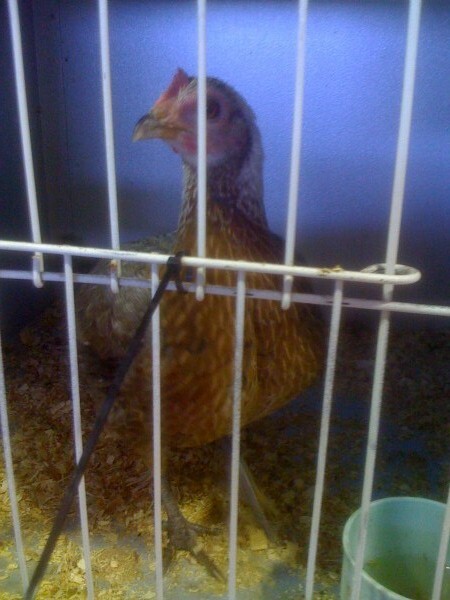 This is the chicken I fell in love with in her pen. I am not yet used to the fact that they are girls. I keep calling them “it” or even “him” which is bad. 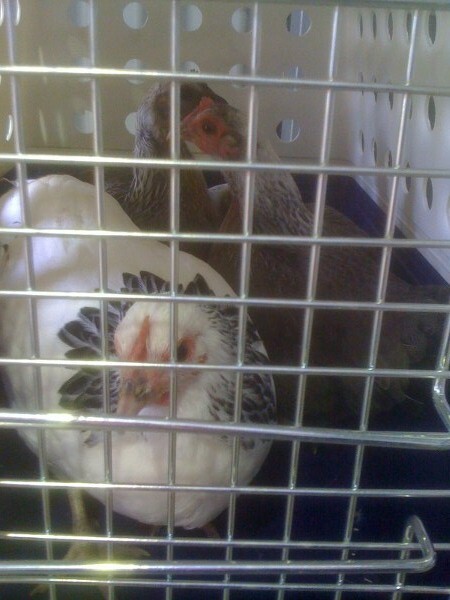 Here are my 4 chickens together in their cat carrier on their way home to their new home. And here are two of them in their new home – the one I fell in love with has the bright red comb, the other one has a more purple color comb. 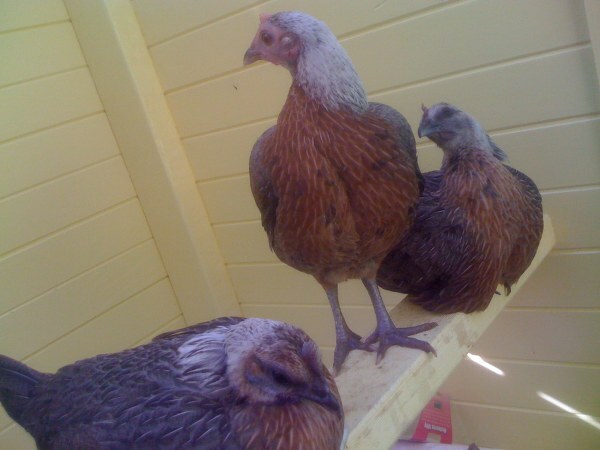 The three English Game bantams together on their roost. 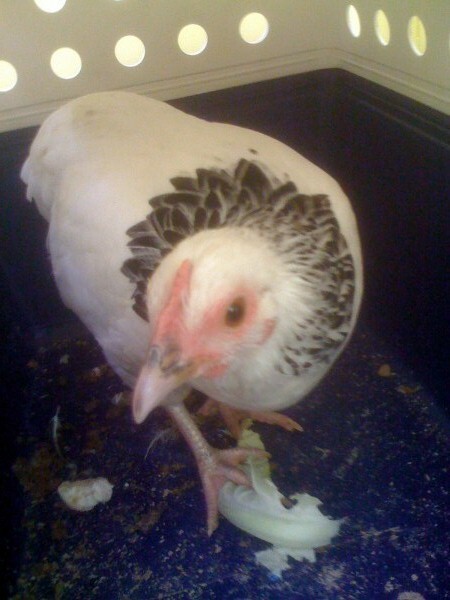 The Light Sussex hiding out in the cat carrier eating a leaf from the cauliflower I gave them. 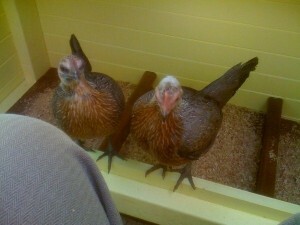 “And here are two of them in their new home – the one I fell in love with has the bright red comb, the other one has a more purple color comb.”… I’m a bit nostalgic when I thing about these two chicken because I used to own two chickens myself. Unfortunately, I had to get rid of them due to complaints from my neighbors. They were fun to have while they lasted.